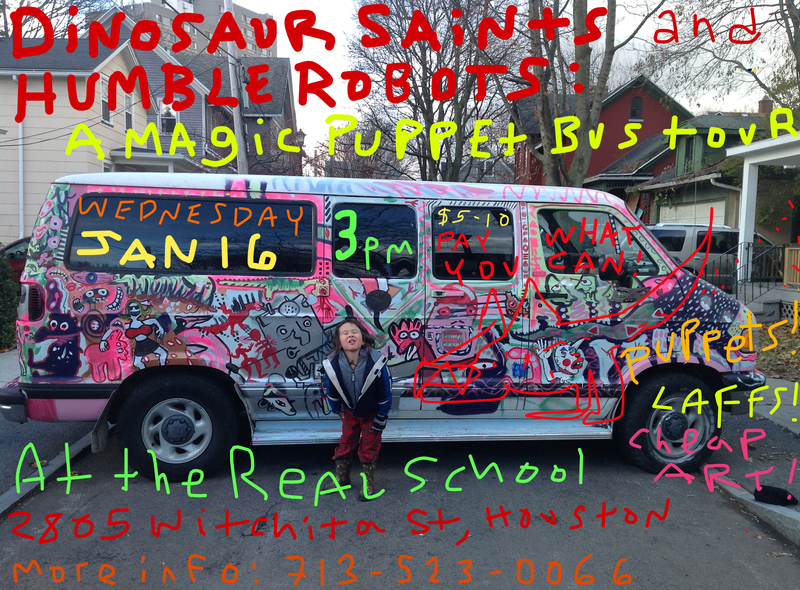 Wednesday the 16th at 3pm, the Real School is hosting a Magic Puppet Bus Tour! This one is called the Dinosaur Saints & Humble Robots Tour. It’s a family event for people of all ages. We are going to have a suggested $5-10 donation, Poncili Company & Jawbone Puppet Theater is traveling on a two month tour from Brooklyn to Texas and back. Join us at 2805 Wichita St, Houston, TX 77004 on Wednesday the 16th at 3pm.